Motorcycle dealers can contact us for more information and dealer discounts. BOS is originally a family business from the Netherlands. 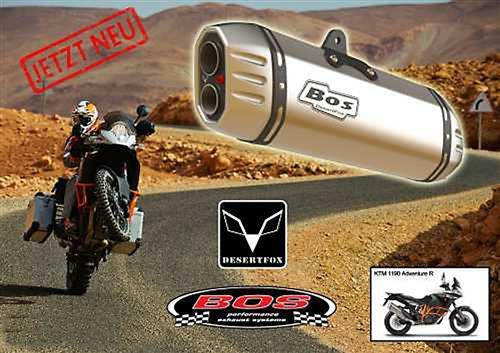 BOS exhausts is the best selling brand in Germany. Modern technologies and the use of only high quality materials are a hallmark of BOS. His mature 'sounding sound "is where BOS is distinctive from the competition. All models come with EC approval !!! Each silencer is specifically approved for that model. This guarantees absolute driving pleasure without unpleasant consequences ... as long as the removable db-killer remains of course. These are with adjustable sound controller. Continue to motorcycle exhausts to find the available models in our shop.